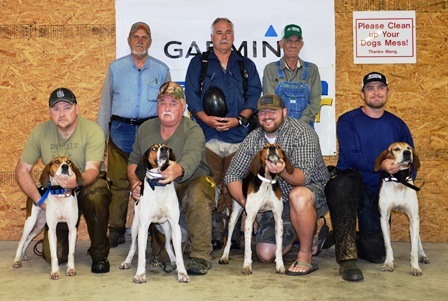 Jim Wins 2018 PKC Treeing Walker Championship Final! Re: Jim Wins 2018 PKC Treeing Walker Championship Final! Congrats to Mr. Matlock and ol Jim! Congrats to the final 4! Congrats Dewayne and jim.. about 5 or 6 yrs ago I ride with Dewayne from the club house on a cast at breeders showcase.. my dog fell out of a tree and broke his back.. Dewayne withdrew and was winning so I could get my dog to the vet and he helped us out way more.. congrats on ur win man..